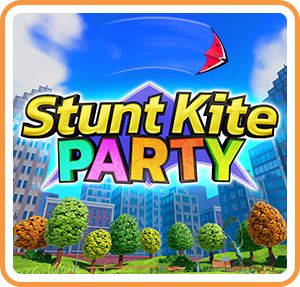 Stunt Kite Party is a family-friendly single player and couch-coop multiplayer game with an exciting storyline and endless fun in numerous game modes. Choose from eight playable characters and fly your kite in four scenic settings, where you can challenge your friends in either predefined matches or your own custom created tournament. You can also face off against AI controlled characters in the single-player experience, framed by a lighthearted story mode that allows you to learn more about the joyful world of Stunt Kite Party. Step into the shoes of a young and extraordinarily talented kiter, as he journeys through the colorful world of Stunt Kite Party. As you take your first steps to become a professional kiter, you learn that kiting has been outlawed in the Big City. How can that be! Fight for your right to kite while you experience lots of thrilling adventures, meet new friends and together, make kiting great again. Can you and your friends be able to convince the mayor to legalize kiting again?